Bluesfest 2014 announces a 6th additional major Stage + More Artists added to the line-up! Bluesfest Byron Bay, Australia’s multi award winning 5 Day Festival, held over the Easter long weekend (17 – 21st of April) at its home, the Tyagarah Tea Tree Farm, north of Byron Bay, announces a sixth additional major stage for its 25th Anniversary – the return of the mighty Juke Joint Stage. “For the first time there will be six major stages at Bluesfest on our 25th Birthday Festival plus our Buskers stage. Of course all the 5 ‘usual suspects’ will be back (from Mojo Stage, Jambalaya, Crossroads, APRA to Cavanbah but we are stoked to be bringing back the much loved and missed Juke Joint Stage. It has been a few years since Bluesfest presented the legendary Juke Joint Stage. 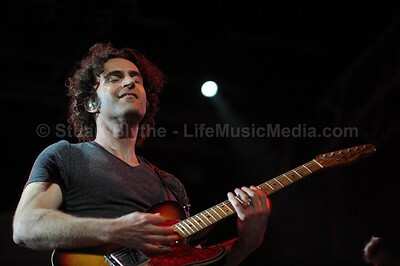 Byron Bay Bluesfest 2012 – Day 5 – Yes, Zappa plays Zappa, John Fogerty, Candi Staton, Joanne Shaw Taylor, Ray Beadle, Dawes, Claude Hay, Kenny Wayne Shepherd, Rosie Ledet | Photos!